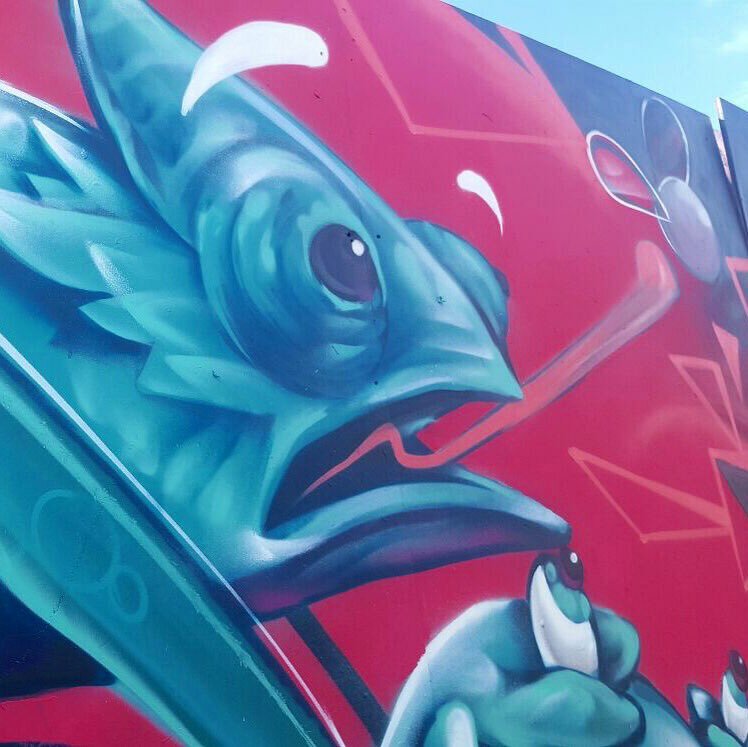 Bristol enjoyed a vibrant Upfest this weekend - the ninth time the urban paint festival has taken place. Thousands of people walked around Bedminster to take in pieces by artists from all over the world. One of the unique features of the festival is the way artists use existing landmarks in their work. From garage doors to lamp posts, the city itself was used as a canvas. Artists expressed themselves in all sorts of styles, with simple cartoons lining up alongside detailed human faces. With more than 250 artists involved in the festival, the size of each piece varied from a small picture on a wall to a whole-building alien landscape. 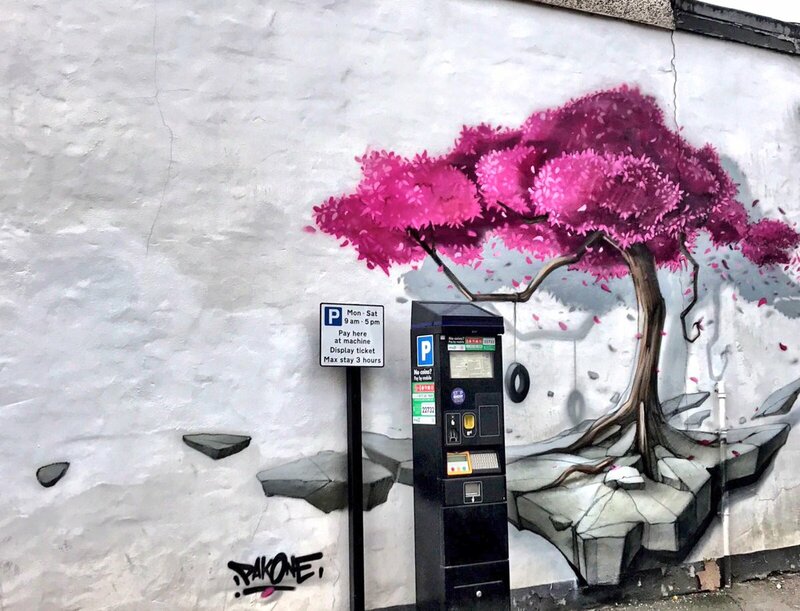 Part of the appeal to people is in seeing familiar locations transformed by the artwork. Around 38,000 square feet was painted on during the course of the festival. As well as viewing artwork, there were also activities for children to enjoy including performers and educational workshops. 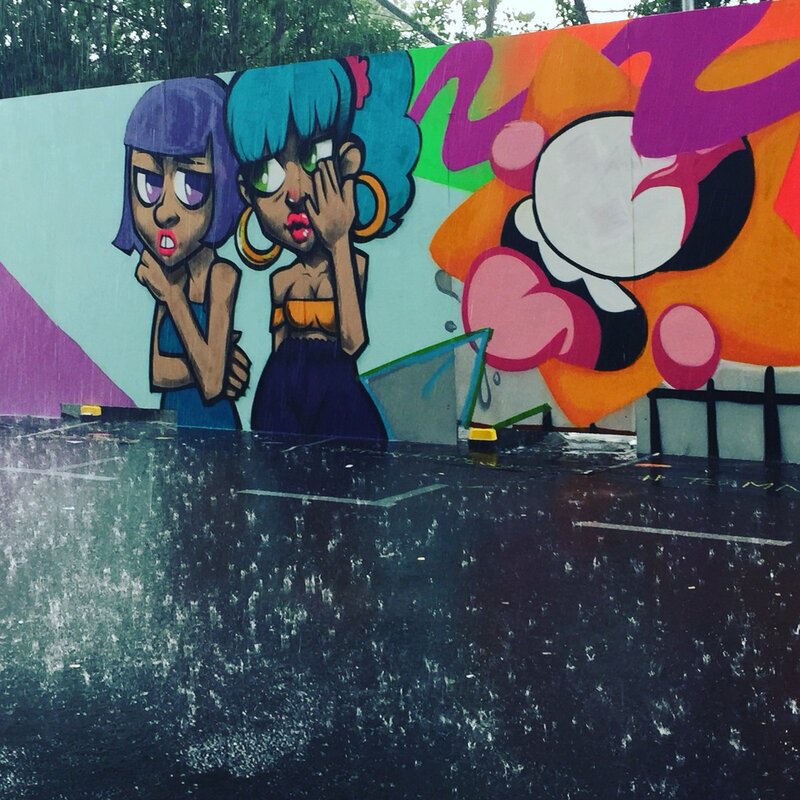 With the weather holding out, artists were able to finish their pieces on schedule. By the end of the weekend, there was a lot of appreciation from people who had seen a huge amount of original artwork. 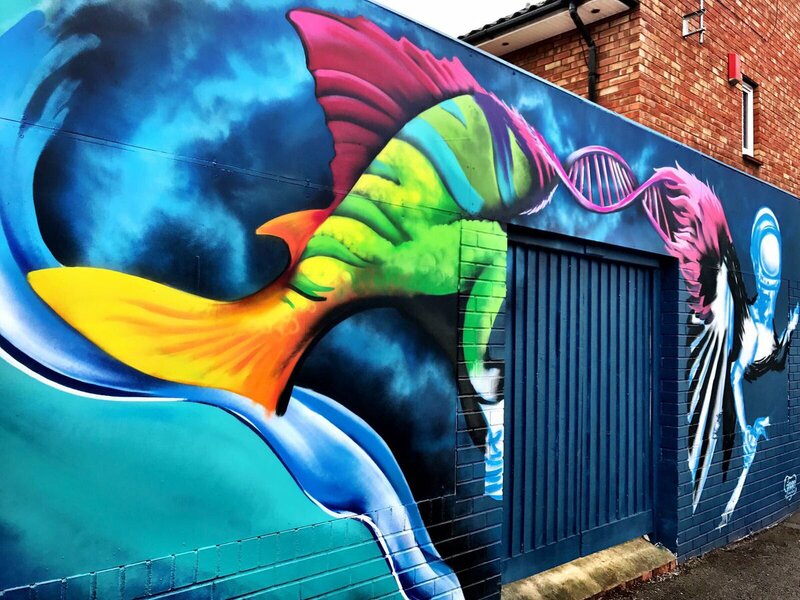 Europe's biggest urban paint festival is in Bristol this weekend, with more than 350 artists creating works along the streets of Bedminster.